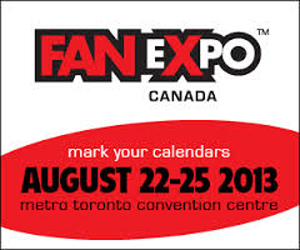 Visit Upper Deck at 2013 Fan Expo in Toronto! 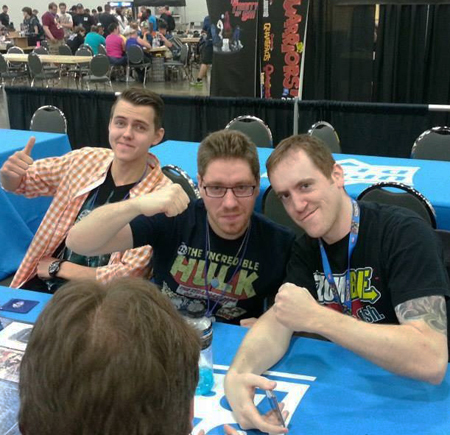 Legendary™: A Marvel Deck Building Game Demos – For all four days of the show, entertainment fans will be able to experience the hard-hitting action of Upper Deck’s hit deck-building game called Legendary™ where characters from the Marvel Universe do battle. Come learn the game for FREE from Upper Deck Entertainment staff in your quest to become “Legendary.” Also, experience the first expansion for the game with Dark City! 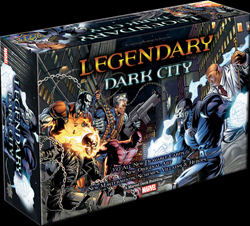 Legendary™: A Marvel Deck Building Game win-a-box organized play tournaments – Once you’ve learned the game, it’s time to show you are ready for action. 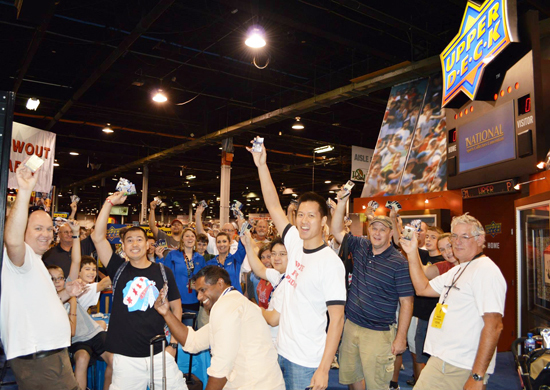 Join the Upper Deck team in the gaming hall throughout the weekend for a variety of exciting win-a-box tournaments! Legendary™: A Marvel Deck Building Game $1,000 organized play tournament – Sign up for the $1,000 organized play tournament taking place Saturday, August 24 at 11:00 a.m. in the gaming hall for your chance to cash in and show you are the ultimate Marvel “mastermind.” For more details, visit the Upper Deck booth. Fantastic Four Photo Opportunity – Upper Deck Entertainment will have a large photo opportunity available for fans to stick their heads through to become their favorite Fantastic Four character! This is a fun way for UDE to celebrate the upcoming Fantastic Four expansion for Legendary™: A Marvel Deck Building Game. 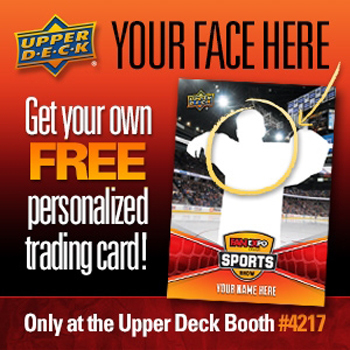 Personalized Trading Card Station – For all four days of the show, hockey fans will be able to strike a pose for their very own Upper Deck trading card. Upper Deck will photograph and print the cards for fans on site for FREE! Exclusive Fan Expo Upper Deck Cards – Upper Deck has created two limited-edition, 5×7 images exclusively for fans at the 2013 Fan Expo. 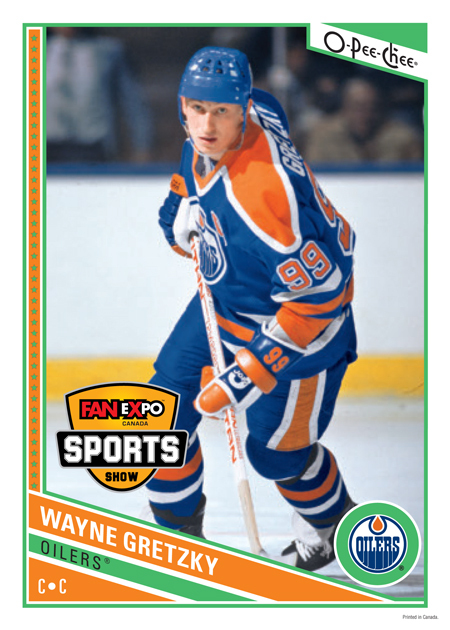 The first is of Upper Deck exclusive signer, Wayne Gretzky and features the Great One on an O-Pee-Chee image. 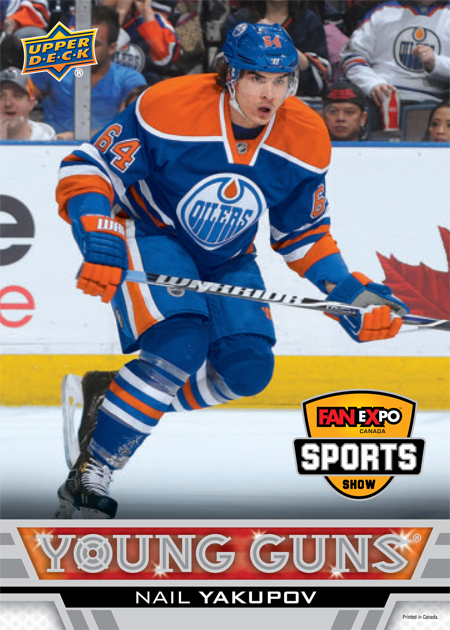 And then there is the highly anticipated 2013-14 NHL Upper Deck Young Guns rookie image of the Edmonton Oilers sensation; Nail Yakupov. Both cards are only available while supplies last! Visit the Upper Deck booth for details on how you can add these highly coveted cards to your collections! Bubble Hockey Tournament – At high-noon each day (12:00 p.m.), Upper Deck will host Bubble Hockey Tournaments that will allow you to show your hockey prowess against your friends. These tournaments have been a HUGE hit at recent shows and are FREE to participate in. 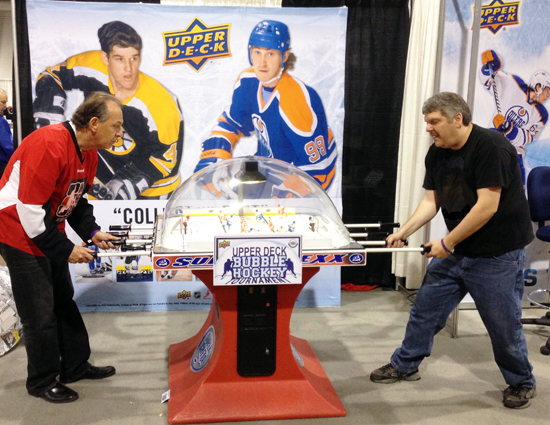 Upper Deck fans love to get in the game with our Bubble Hockey Tournaments! Pack War Challenge – Upper Deck invites fans to get a chance to check out some new Upper Deck cards for FREE and score some great prizes including autographed Upper Deck Authenticated pucks. Staff will ask questions about cards handed out and if you have the card we are looking for, you can win! Don’t miss this fast paced and very fun event! It will take place at Thursday, August 22 at 7:00 p.m., Friday, August 23 at 3:00 p.m., Saturday, August 24 at 3:00 p.m. and on Sunday, August 25 at 2:00 p.m. 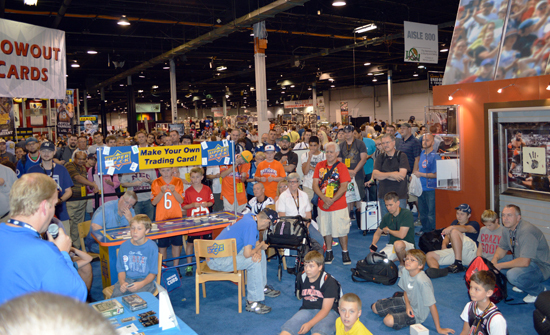 Pack War Challenges are a huge hit with Upper Deck collectors at shows. Cloutsnchara Group Breaks – Upper Deck shared two awesome prizes with Cloutsnchara to use with two awesome breaks they have going on at the Fan Expo for a variety of very desirable Upper Deck products. You could score a 2013 NHL Draft blow-up ticket signed by every 1st round pick or a 2013 NHL Draft Hat signed by the first overall pick; Nathan MacKinnon. For more details and sign up information, check out Fan Expo Break #1 and Fan Expo Break #2. Sign up for a Cloutsnchara Fan Expo Group Break and you may just take this awesome collectible home! 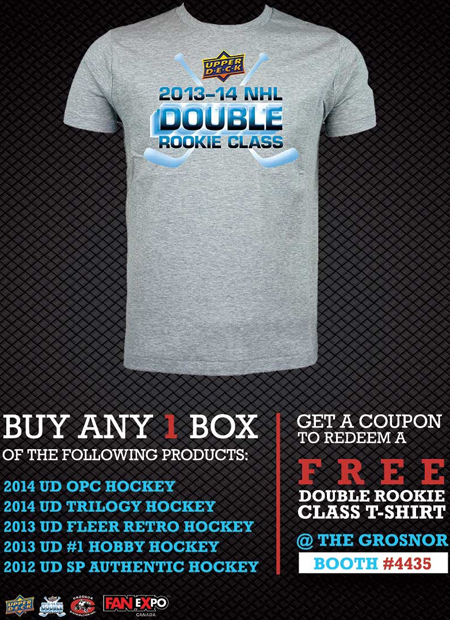 Upper Deck NHL Double Rookie Class T-Shirts – This is a pretty important year for trading cards with Upper Deck’s NHL Double Rookie Class program in full swing. Grosnor Distribution is partnering with Upper Deck for a special redemption program at the show where if you purchase any new box of Upper Deck NHL product (full list below) you will get a coupon for a FREE Upper Deck NHL Double Rookie Class t-shirt. FREE RAFFLES! – Upper Deck will give back to our fans each day by hosting an awesome FREE raffle that you will not want to miss! Make sure to visit the Upper Deck booth at these times to participate: Thursday, August 22 at 8:00 p.m., Friday, August 23 at 5:00 p.m., Saturday, August 24 at 5:00 p.m. and on Sunday, August 25 at 3:00 p.m.
With some fantastic prizes up for grabs, Upper Deck fans LOVE to take part in our FREE raffles at shows!